For people looking for alternative career paths that will grant them stability and security, they might want to try becoming a HVAC technician. This is a fast-growing field where many professionals are shifting too. A good number of high school graduates are looking into this as well because they do not have to spend as much money and time in getting a degree that will help them land a job that pays well. 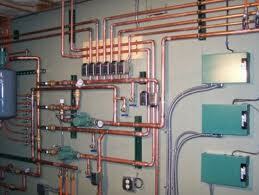 The best thing about being a HVAC technician is having steady work whether freelance or contracted by a company. To become a HVAC technician, one must first undergo training at any accredited institution in Kansas. There are a lot of universities, training colleges and career institutes that now offer short course HVAC degrees that last between 1 to 2 years depending on scope and pacing. It is recommended that students looking into this course have sufficient background in subjects like mathematics, physics, and engineering because they will be used in heavy rotation throughout the learning process. 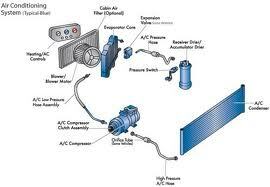 An important part of the HVAC curriculum is the on the job training opportunity bestowed on students. This helps them apply what they have learned and develop their skills while in a real world setting. Potential employers may also evaluate the skills of promising students and offer them positions within the company once they graduate. There are a lot of schools in Kansas now offering HVAC degrees. Interested students may take a look at the offerings of the following schools. One of the best choices for traditional classroom learning. Johnson County Community College, conveniently located within Kansas, offers HVAC degrees that can be completed in about two years. Scholarship assistance is also available to deserving students.